The Trump administration said in a court filing that reuniting thousands of migrant children separated from their parents or guardians at the U.S.-Mexico border may not be "within the realm of the possible." The filing late Friday from Jallyn Sualog, deputy director of the department of Health and Human Services' Office of Refugee Resettlement was an ordered response in an ACLU lawsuit challenging the government's separation of at least 2,737 children of migrants detained at the border since summer 2017. Sualog said her office doesn't have the resources to track down the children, whose numbers could be thousands more than the official estimate. "Even if performing the analysis Plaintiffs seek were within the realm of the possible, it would substantially imperil ORR's ability to perform its core functions without significant increases in appropriations from Congress, and a rapid, dramatic expansion of the ORR data team," she said. Lee Gelernt, the ACLU's lead attorney in the suit being heard by U.S. District Court Judge Dana Sabraw in San Diego, called the response "shocking." 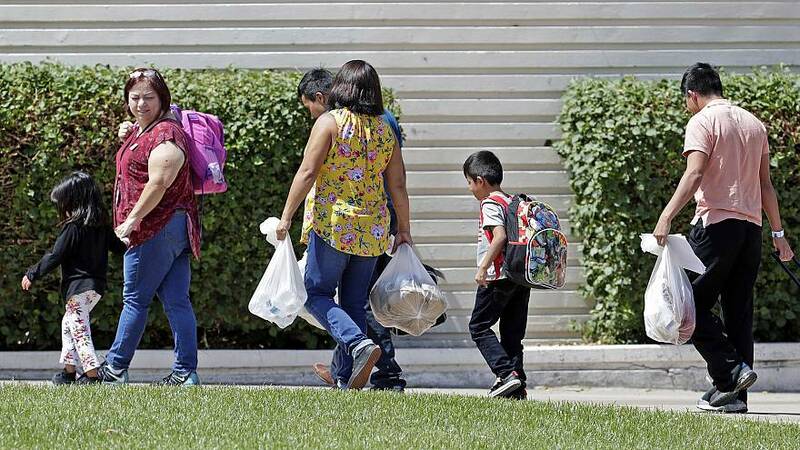 "The Trump administration's response is a shocking concession that it can't easily find thousands of children it ripped from parents, and doesn't even think it's worth the time to locate each of them," he said in a statement. "The administration also doesn't dispute that separations are ongoing in significant numbers." "ORR would have the authority or resources to forcibly reunify minors who are no longer in ORR custody," she wrote in the government's response. "Finally reunification of minors already residing with close relatives, parents or family friends could interfere with the child's routine and currently established relationships." The parties were scheduled to return to court Feb. 21.